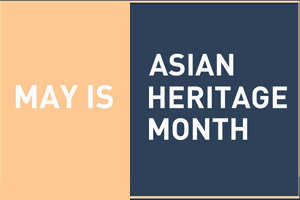 May is Asian Heritage Month! We'll be broadcasting special programming throughout the month, highlighting Asian and Asian diasporic perspectives. Tune in for special Asian Heritage Month episodes of Speak Up!, SFU Ideas & Issues, The Arts Show and other programs. Have any questions or suggestions for our programming this month? Don't hesitate to get in touch with our Public Affairs Coordinator Jesse Wentzloff at cjsfpa@sfu.ca or our Programming Coordinator Robin Eriksson at cjsfprog@sfu.ca.